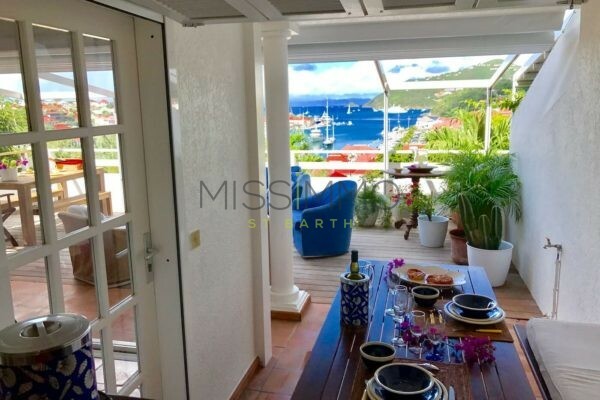 View Star is a one bedroom apartment in the residence Colony Club in Gustavia. 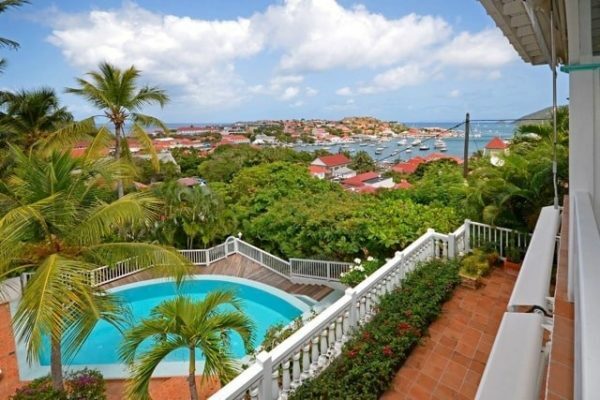 This residence is the oldest but also one of the most beautiful residence in Saint Barthélemy. 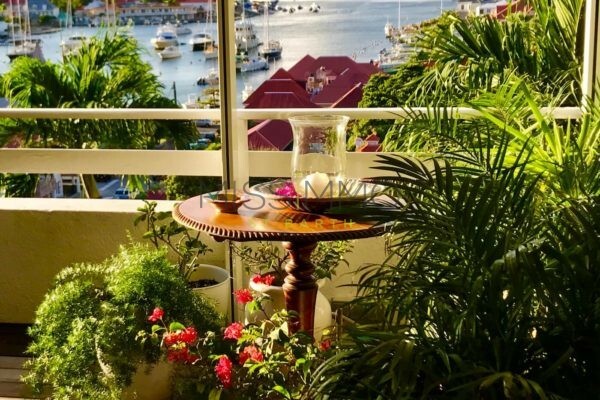 On the hillside of Gustavia, it has a beautiful view on the harbour as well as the sunset. The flat have a unique colonial style with full air conditioning. The living room and kitchen open onto the balcony. 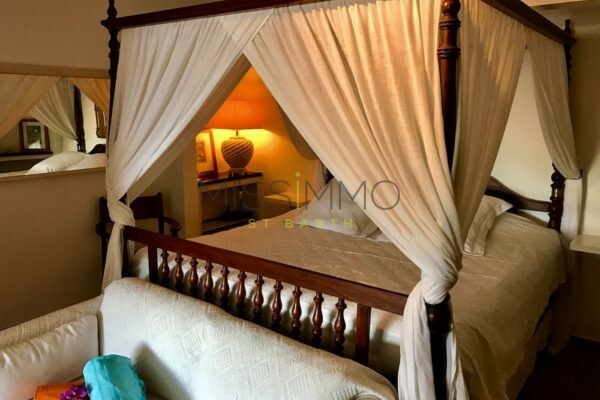 The bedroom has a king size bed with mosquito nets, as well as ensuite bathroom with shower. 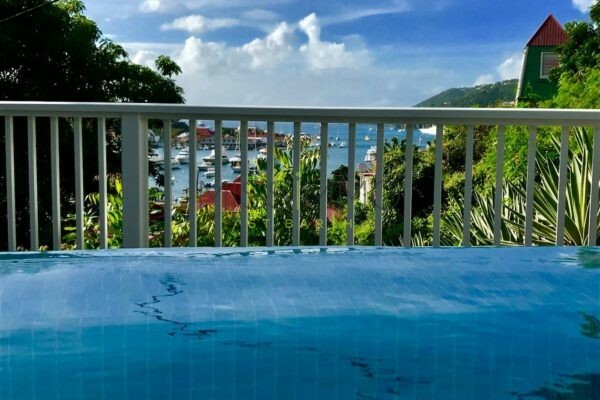 The lush tropical garden surrounds the shared pool of the residence. The complex is walking distance to shops, restaurants, but also Shell Beach. 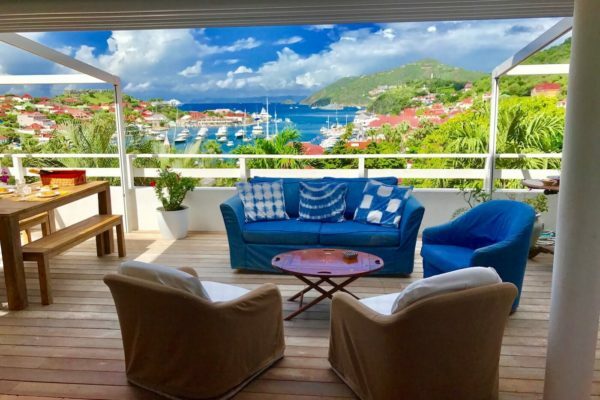 In addition to Apartment View Star, you can rent Colony Club A2, 1 bedroom apartment in the same residence, if you wish to keep your privacy while travelling with friends. Residential Pool (3X8m) – Dining table (4 seats) – 1 Parking space. 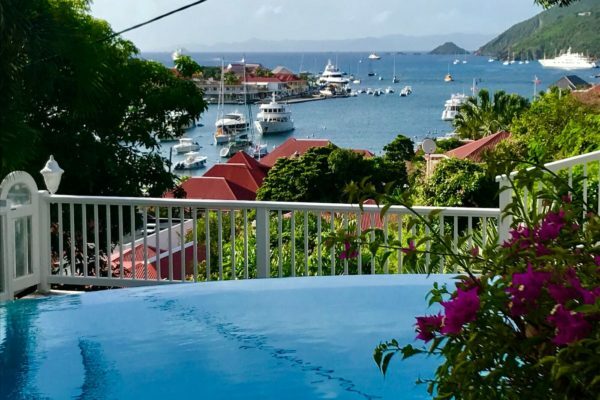 A/C – Flat Screen TV – French Satellite – Phone – WiFi – Iron & ironing board. 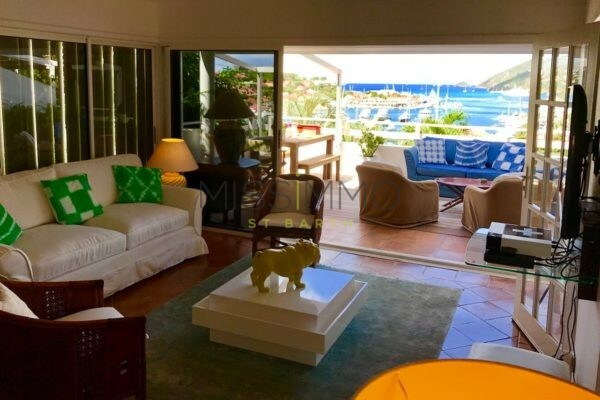 Equipped for 4 guests: A/C – Fridge – Freezer – Oven – Induction Plate – Microwave – Coffee Maker (Regular and Nespresso) – Toaster – Kettle. A/C – Euro King Size Bed – Safe – Flat Screen TV – DVD Player – French Satellite – Sofa – Mosquito Net. 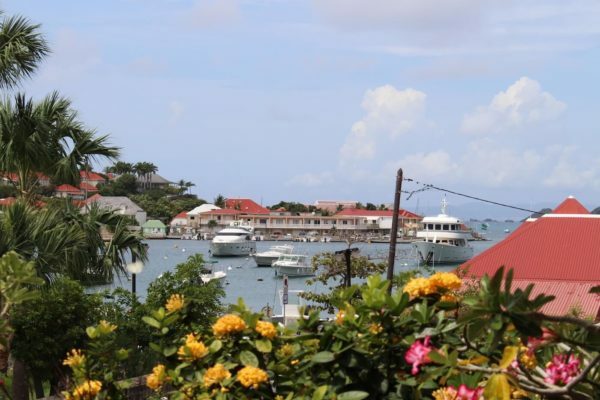 Surprising beach located in Gustavia. 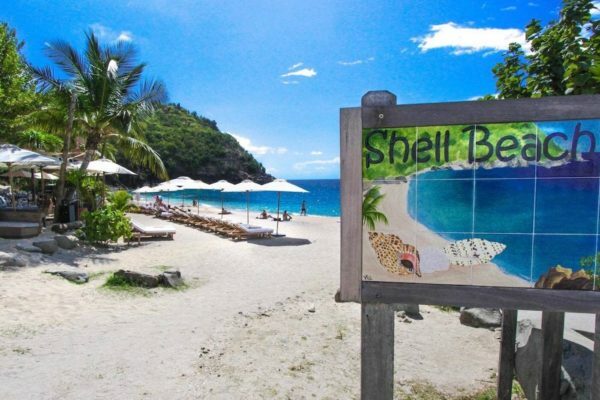 Covered with under of thousand small shells, the bay also have a great marine life for a snorkeling moment, or try the sea-bob experience proposed on the beach. Have lunch at the restaurant "Shellona", or enjoy a cocktail for the sunset hour.